From extensive hotel networks to small hot spots, MTS covers all the bases. 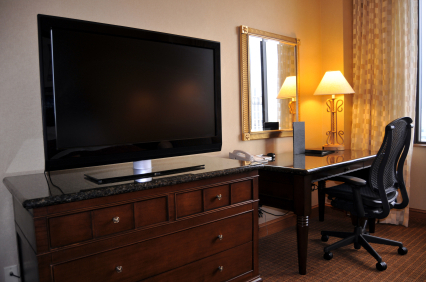 MTS is a leading provider of communication solutions for hospitality and businesses of all sizes. Save money and consolidate your communications with MTS SIP trunks. TV solutions with flexible, cost effective options with service you can count on. Easy to use IP video management with guaranteed results. WE DESIGN, DEPLOY, AND SUPPORT INNOVATIVE TECHNOLOGY SOLUTIONS FOR ANY SIZE ORGANIZATION. MTS designs, installs, and supports networks to provide consistent quality. From design to implementation, our team will work closely with you to design a network that fits your needs and exceeds your expectations. MTS is proud to offer the most comprehensive site survey to design and build the most reliable network possible. Starting with a drawing of your building and utilizing the highest quality survey equipment, MTS will arrive onsite ready to gather all the information required to create an accurate blueprint for our design team. After the assessment phase, our design team is ready to utilize the data to create a high-quality network to suit your needs. 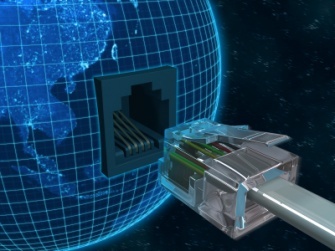 Our engineers carefully analyze and formulate a network catered to meet your specifications. From cloud-managed to onsite solutions, the MTS design team can meet and exceed any organizational needs. MTS takes pride in creating the best experience in project implementation, and our project team has succeeded in becoming industry leaders in this division. Our team of experts are there to guide our installation team and assist our customers from start to finish, creating a streamlined and unified process along the way. With thousands of completed installations, our team strives to consistently improve to ensure each project is met with attention to detail and unmatched quality. MTS professional services are available 24x7 to support your guests. From 24x7 live support to nationwide truckrolls, MTS is here to help you. MTS proactively monitors and optimizes your network equipment and performance to provide a seamless experience to your guests. Our portfolio of solutions is highly scaleable, secure, easily managed, and optimized to meet the evolving communications needs of our customers. MTS is a preferred vendor by all major Brands. We provide solutions for every select, full service and luxury hotel. Let MTS solve your PBX and Voicemail issues 24/7, nationwide, via our remote or onsite service team. MTS partners with leading hospitality industry phone vendorsto provide competitive pricing and the latest, most innovative products. Looking to save a bundle? MTS SIP trunks offer huge savings while providing better control of your communications. Have complete control of your lines with call forwarding, number blocking, and much more with our 24/7 online portal. Live support is available within minutes, rather than waiting on hold for outdated larger phone companies. Call us today to start saving money! Our free-to-guest TV offering provides your guests with the latest HD technology, an amazing channel lineup, and superior post-installation support. MTS offers both IP and hybrid camera systems for amazing HD quality images. Whether you're proactively viewing or reactive reviewing based on an event, our IP cameras will ensure amazing quality to catch every detail.